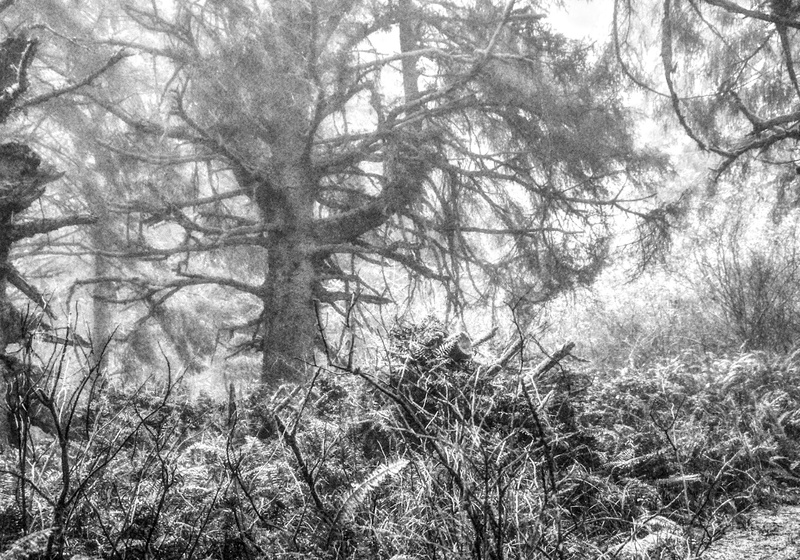 Trees in the fog near Heceta Lighthouse. 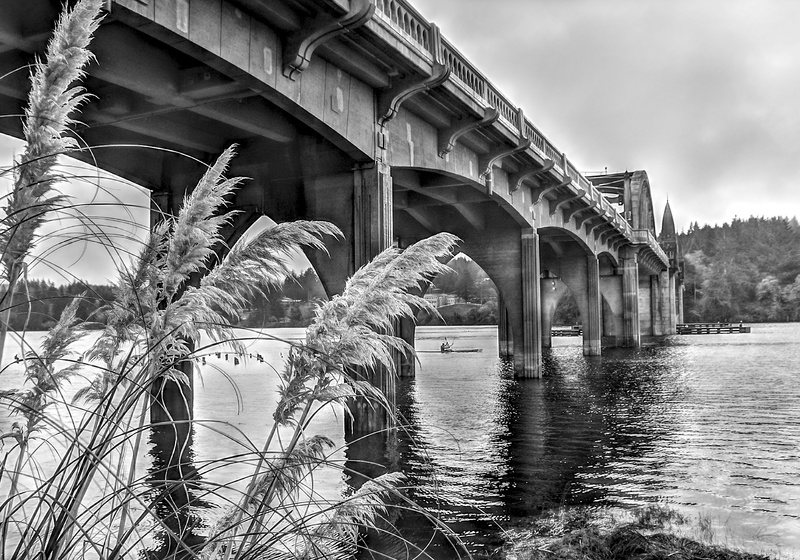 Siuslaw River bridge in Florence. We’re just back from a couple leisurely days celebrating Thanksgiving at the Oregon coast. The weather was the best that the Northwest has to offer this time of year: chilly, wet, windy and unbelievably fresh. Had a great holiday dinner Thursday at Driftwood Shores, and spent most of the rest of the time out enjoying the beach and trails. I’ll be doing hand-colored versions of both of these photos soon.